One of the coolest things I’ve seen of late comes from the awesome blog Popblerd! They’ve ranked the top songs Prince has written and produced for other artists – and its a great reminder not only of the quantity – especially in the 80’s – but also the quality. 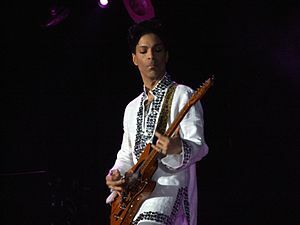 His output for other artists was amazing – Paisley Park was akin to a funky Brill Building during the 80’s. There’s some great songs, some ended up becoming big hits (“Nothing Compares 2 U” by Sinead O’Connor, “Glamorous Life” by Sheila E.) and many of them I long forgot about, like fantastic and wonderful “Love Thy Will Be Done” by Martika back in 1990 (and remember her? The single from the album – “Toy Soldiers” – a great, forgotten single). Others I’d never heard before like but really dig now (“Cool” by The Time). Here’s Part 1 and be sure to check out Part 2 as well.